At the end of summer I joined the My Organized Chaos online class trial run. It was a good chance to double check a number of things around the house and to make some improvements. 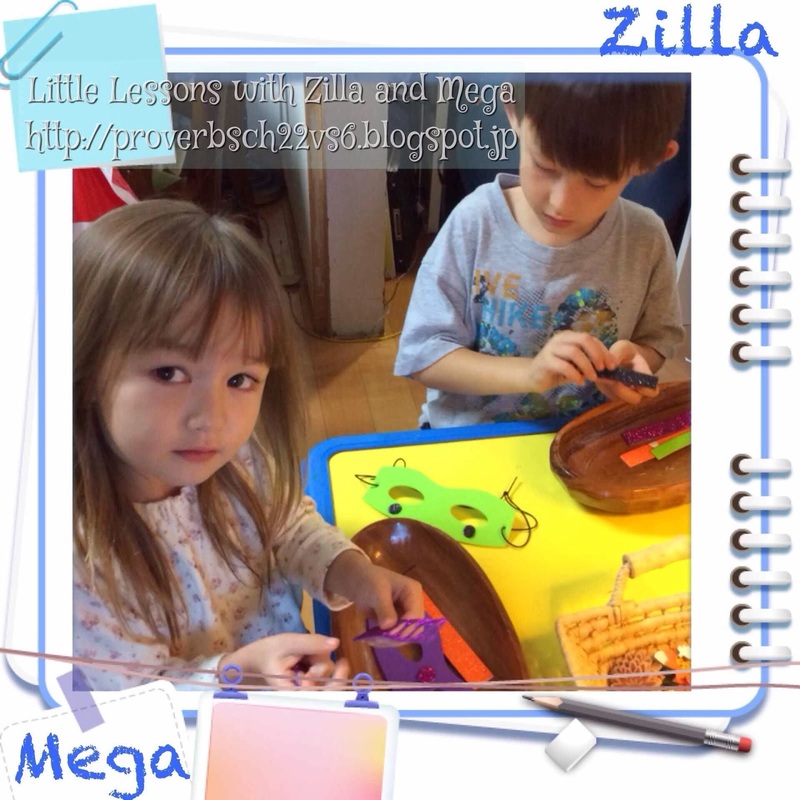 Many of the ideas/advice that was shared is Montessori based so it easily fit in with what we were already doing. 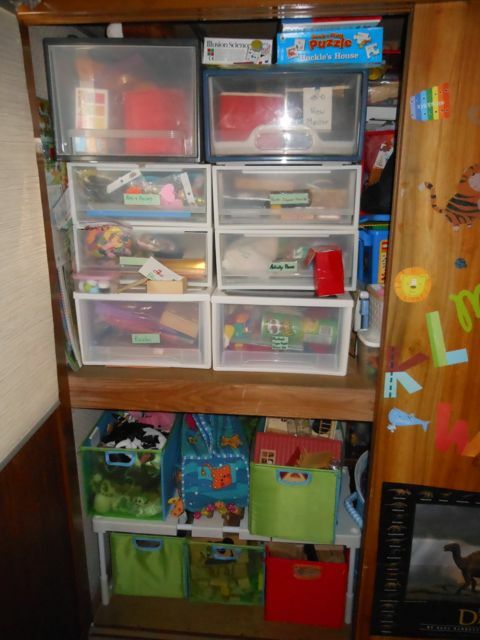 One of the key point of making organization in the midst of chaos is having prepared spaces. This is especially important with kids. The more they can do on their own the better. 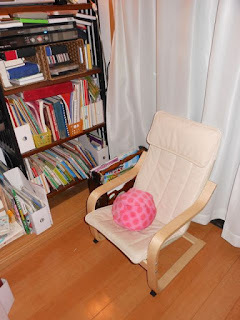 This is our reading corner & play room. Since we don't have a car we use the car seat as a chair when we are home. This is a great way to get kids used to sitting in a car seat! 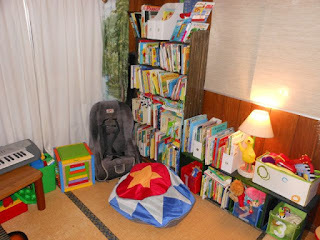 the books and toys are rotated through by season and current interest. This is a smaller, secondary reading space. With 2 kids there are times when they prefer to be alone so having two spaces has been nice. 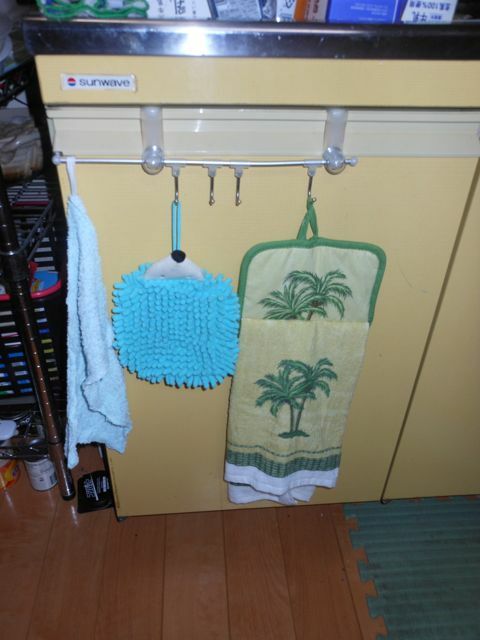 A very helpful thing in the kitchen is having towels at kid height. There is a hand towel, dish towel and wipe-up-mess towel. It is amazing how many messes kids CAN clean up by themselves if they have the necessary tools within reach! 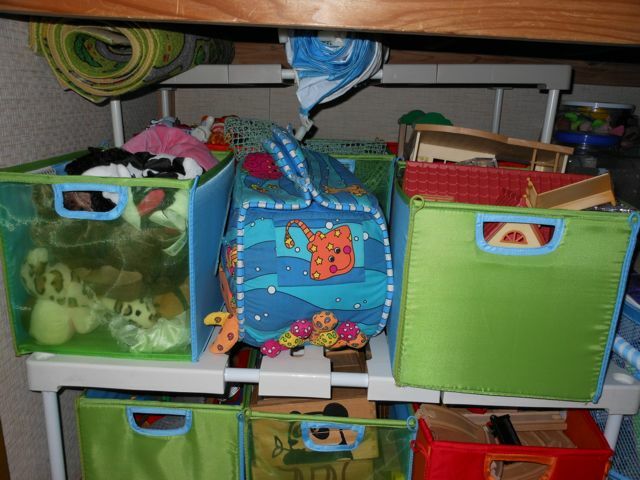 Here is 1/2 of the toy/activity closet. Admittedly this is the cleaner half! The bottom of the closet is toys divided up by type in lightweight boxes. There are two rows on top and bottom. This works out well because the kids are generally allowed to take out just one box at a time so that the toys don't get mixed and the room doesn't get messy! Kids can become very easily overwhelmed by a messy room, making it harder to enjoy playing and more difficult & frustrating to clean up.